Description The US (Idaho) based company Eagle R&D was founded in April 1998 by B J Schramm, who had already earned his place as a kit industry legend by establishing the successful firm Rotorway, with its Scorpion product line, way back in 1961. 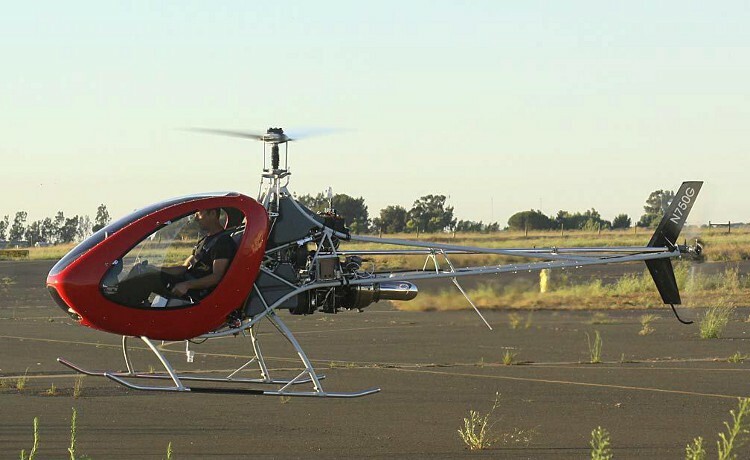 Still chasing the same dream of a true and reliable helicopter available for a fraction of the cost of a certified machine, Schramm designed the HeliCycle, which is a fifth of the price of a Robinson R22. The machine is designed to closely follow the flight characteristics of the R22, which helps in the transition to using the HeliCycle (flight schools often use R22s). Of course, the HeliCycle design is different from the R22. First of all, it is in the experimental category and delivered as a kit. In addition, the HeliCycle is a single seater model and powered by a gas turbine engine (using the very reliable Solar T62), which also gives it very good power handling characteristics. The company’s focus on safety is strong. For example, the kit built machine has to undergo test flying by a factory test pilot before the final key components are handed over. The US (Idaho) based company Eagle R&D was founded in April 1998 by B J Schramm, who had already earned his place as a kit industry legend by establishing the successful firm Rotorway, with its Scorpion product line, way back in 1961. El helicycle y el mosquito, hijo dos Ultralivianos Que Al Momento de Elegir Cuesta Mucho. Yo He Decidido LUEGO de pensarlo mucho, Dejar de lado el mosquito. Confio el Helicycle. Deseo de comprarme un. Helicycle. Me gusta la turbina y el diseño. Quisiera saber como se puede abonar. Estoy en Argentina, por lo tanto tengo que importarlo, mi preocupación es el tiempo de entrega de la turbina. Do you want to comment the Eagle R&D HeliCycle helicopter?